Fill your ears with something different! 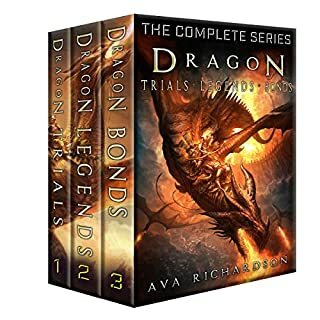 This is the complete series, 10 books, over 400,000 words of high action fantasy, filled with deadly dragons, relentless evildoers, daring heroes, uncanny magic, wild characters, and more! A thrill ride for listeners of all ages! Over 53 hours of listening enjoyment! Apocalypse is coming to a world of monsters and men. A restless liege, Nath Dragon, is bored with his reign and hungry for adventure. The all-powerful immortal being, Trinos, created the world of Bish for her own amusement. There, an eternal war rages between good and evil under the gaze of the bored goddess. Humans battle monsters and each other in a savage, never-ending conflict. And there is one who is charged with maintaining the delicate balance between light and darkness: the warrior Venir, the Darkslayer. Nath is a special warrior. He is a man destined to be a dragon. In order to become a dragon, he must save the dragons. For countless years Nath has been on a quest to become a dragon, but his meddling with the other races tends to get in the way. The way of men is not the way of Nath Dragon his father has warned him. Yet, Nath, unable to control his fascination of the world men, elves, dwarves and even the despised orcs, tends to get caught up in their affairs. To earn his scales, there is a high road he must follow. 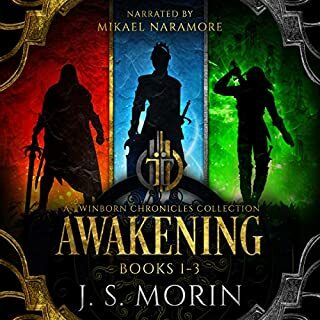 With his close friend and ally, Brenwar the Dwarf, Nath, armed with a magic sword he calls Fang, travels to the Mountain of Doom, the Free City of Narnum and to Orcen Hold where nothing but trouble awaits. Will Nath Dragon, hero of the realm and protector of dragon kind choose the right path or wind up on a dark one? Great story, music and narration! I want to see Naft join forces with the Lizardmen but I'm definatly hooked on this series after one book. Great to see a Dragon saviour! I totally relate with Naft and the Dragon father. Thank Tiamat for this book! What made the experience of listening to The Chronicles of Dragon: The Hero, the Sword and the Dragons the most enjoyable? Have you listened to any of Lee Alan’s other performances before? How does this one compare? WOW!! Kept me on the edge of my seat! If you could sum up The Chronicles of Dragon: The Hero, the Sword and the Dragons in three words, what would they be? A lot of action and the characters continue to grow. What about Lee Alan’s performance did you like? Clear, concise and professional. A good fit for the story. I highly recommend for young readers/listeners. I am an older reader/listener and it entertained me. Wow, I really enjoyed this! Lot's of dragons! 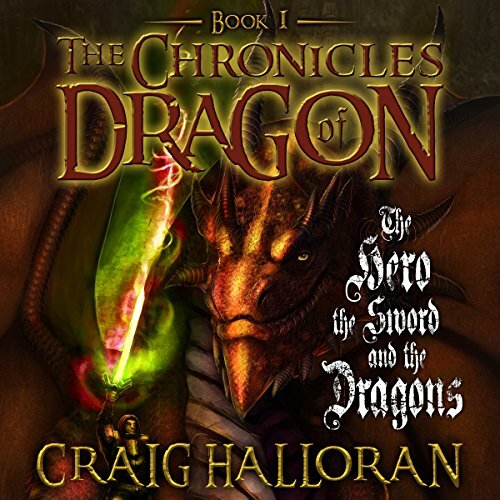 Would you listen to The Chronicles of Dragon: The Hero, the Sword and the Dragons again? Why? Sure, it's very entertaining and I liked the characters voices and background noise. I like how all of the different types of dragons were described and the different powers they had. Seeing Nath, or hearing Nath complain about the orcs and his disappointment in how the dragons treat him. His father coming down on him hard shaking the throne room was heavy too. It's hard for me to squeeze in that much time, maybe two days at best. Sort of reminded me or Narnia. Nice there was no bad language or violence, but still plant of action. Really ideal for young listeners. 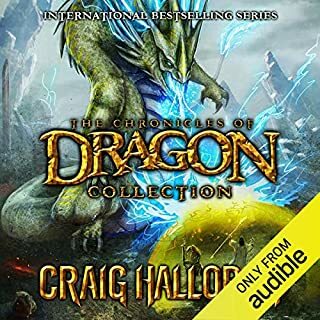 Where does The Chronicles of Dragon: The Hero, the Sword and the Dragons rank among all the audiobooks you’ve listened to so far? It's different because it has sound effects but very fun. It's a young reader story and my kid liked it more than having to read it. It was a fun experience. What was one of the most memorable moments of The Chronicles of Dragon: The Hero, the Sword and the Dragons? When Nath fights the the trolls in the cage who are attacking the dragon and goes berserk with his sword Fang! Incredible battle scene! No, a bit old fashioned like a radio show from Prairie Home Companion, but otherwise cool! Laughing at the humorous sports, especially Brenwar the Dwarf. He has good lines. 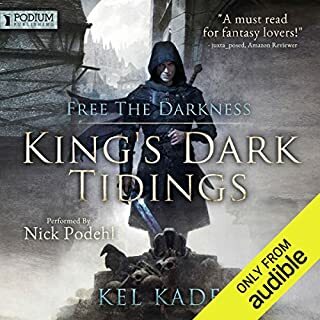 All and all a great start for us on our audio adventures and looking forward to see what happens to Nath Dragon now the he's cursed and has to fix himself. the story is not the best but the narrator, sound effects and music all make it fantastic! The background sounds are annoying! What did you love best about The Chronicles of Dragon: The Hero, the Sword and the Dragons? I like the take on dragons and the story line itself. Some good battles and an interesting idea of what Nath has to do to become his father's successor. What three words best describe Lee Alan’s performance? I wish I could remember more of the book. The idea really intrigued me but i lost focus so often with the various background sounds the whole book became background noise to me and I barely recall most of it just a day after reading. Don't purchase the audio file. Buy the real book. I am sure it would be much better. I got this at a discount in return for my honest review. What disappointed you about The Chronicles of Dragon: The Hero, the Sword and the Dragons? The sound effects were distracting. The honky tonk country music in the taverns, awful and out of place. The weird screams of pain were just awkward. The sound of spears being thrown was more like something from an old radio show about superman. The story itself was one cliche after another with sometimes stilted and sometimes childish dialogue. 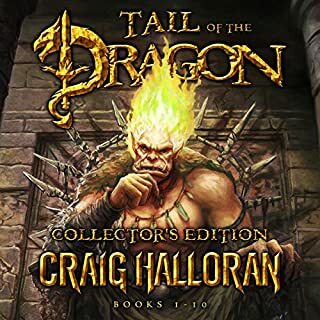 Would you ever listen to anything by Craig Halloran again? I will be very surprised if I listen to another. Disappointment. 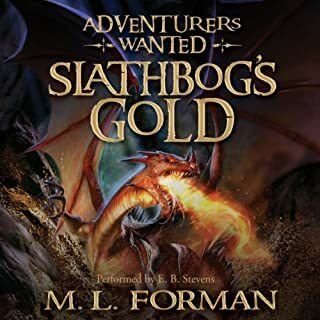 I was looking forward to a good dragon story and this is a 10 book series. I hoped it would be much much better. This just wasn't for me. Maybe more casual listeners or younger listeners will enjoy it.